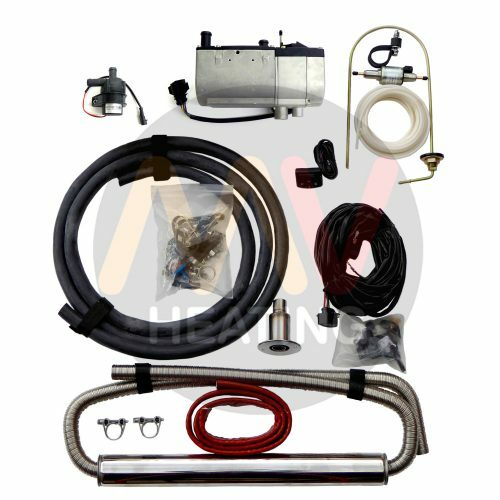 This water heater comes complete with a comprehensive installation MARINE kit, optional accessories like timer/thermostats and header tanks are available . 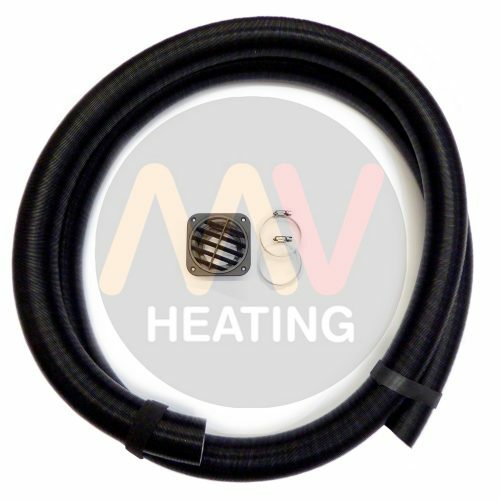 The MV Hydro 55 is a 5kW modulating diesel fired water heater which is suitable for providing hot water for heating purposes via radiators or matrix heaters and also domestic hot water via a calorifier. 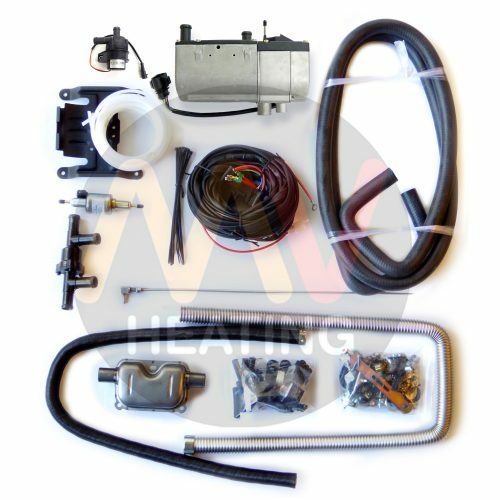 The MV Hydro 55 is fully automatic in operation featuring low energy glow pin ignition and microprocessor control for full temperature regulation. The heater is pre assembled on a stainless steel bracket complete with anti vibration mounts. The water pump is also assembled and prewired on the bracket for easy installation. 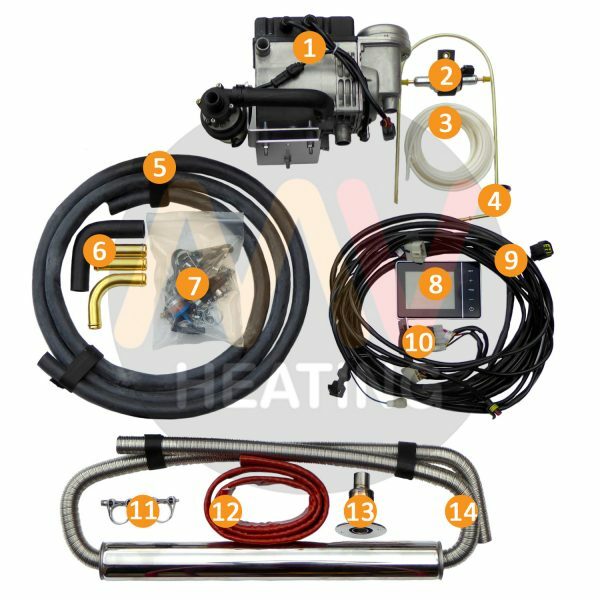 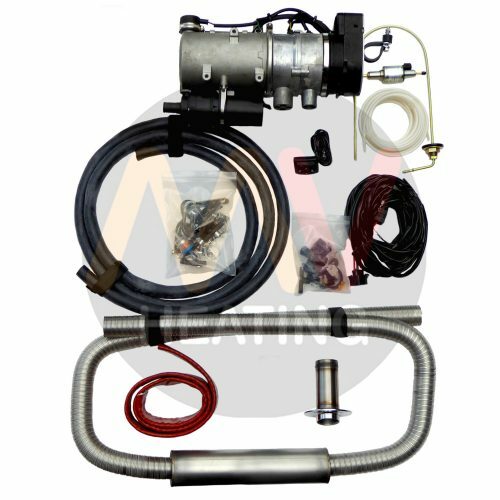 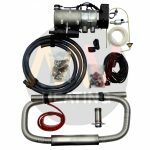 The kit includes the exhaust pipe with built in silencer and silicone coated lagging – low noise on the pontoon and low exhaust temperature in the boat! 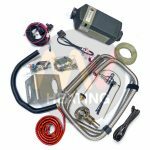 NOTE: The Hydro 55 does not come with the timer/thermostat as standard.